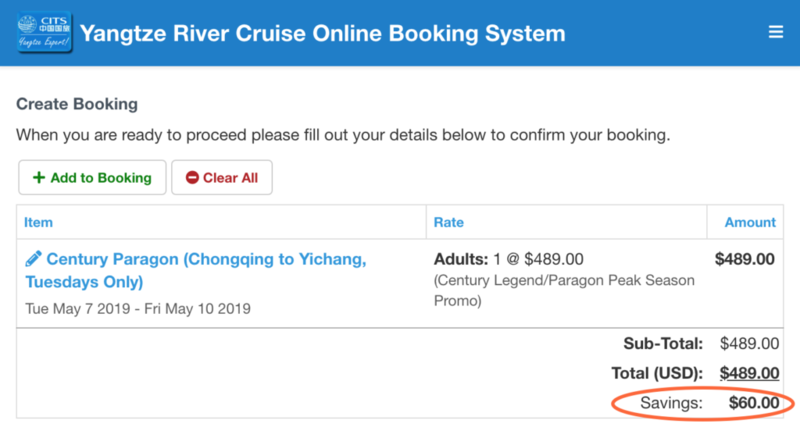 Check out all the latest Yangtze River Cruise promotion codes & discounts in 2019. Book early and save more! USA, Canada, China (including Hong Kong, Macau, Taiwan districts), Japan, North / South Korea, Malaysia, Singapore, and Philippine. For passengers from these countries/districts, please send us enquiry email for the best price. ——Valid for departures in March, April, June, July, August & November, 2019. ——Valid for departures in May, September and October only, 2019. All bookings will be reviewed by staff, and any booking with misuse of the promo-code may not get confirmed. 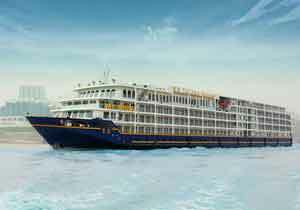 How to use the promo code to book a cruise tour? 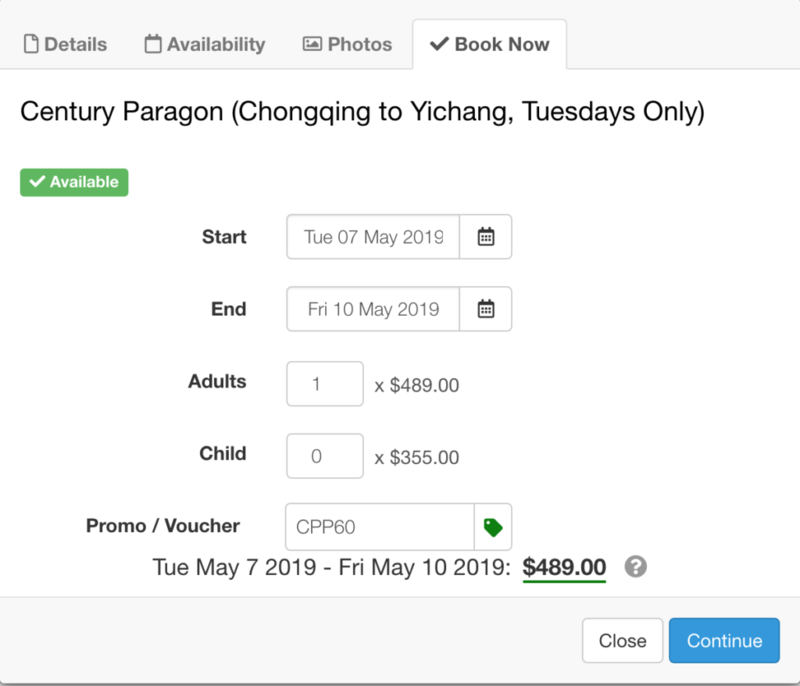 Example: book the cruise Century Paragon departing Chongqing on May 07, 2019. 2. 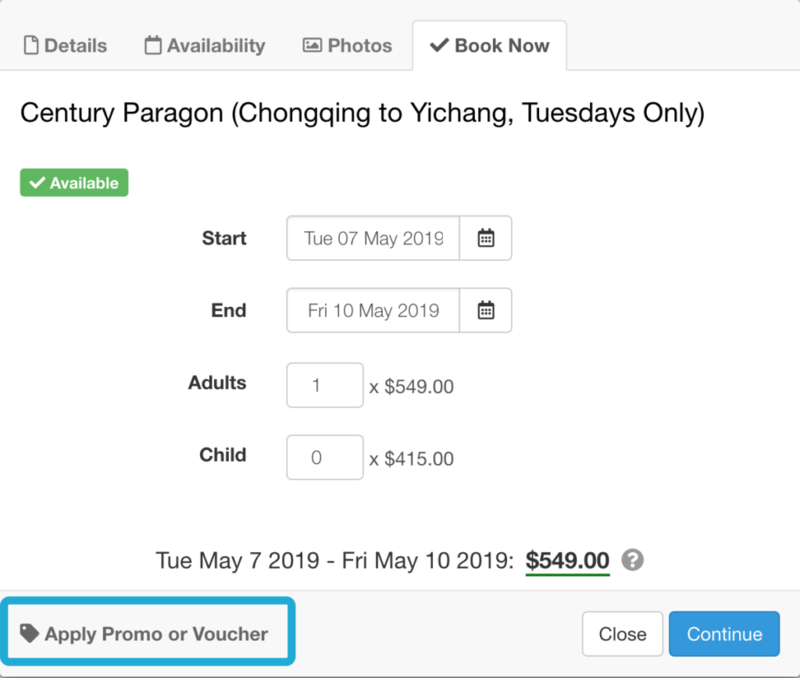 Click “Book Now” and you may find the original price. On the bottom left, click “Apply Promo or Voucher”. 3. 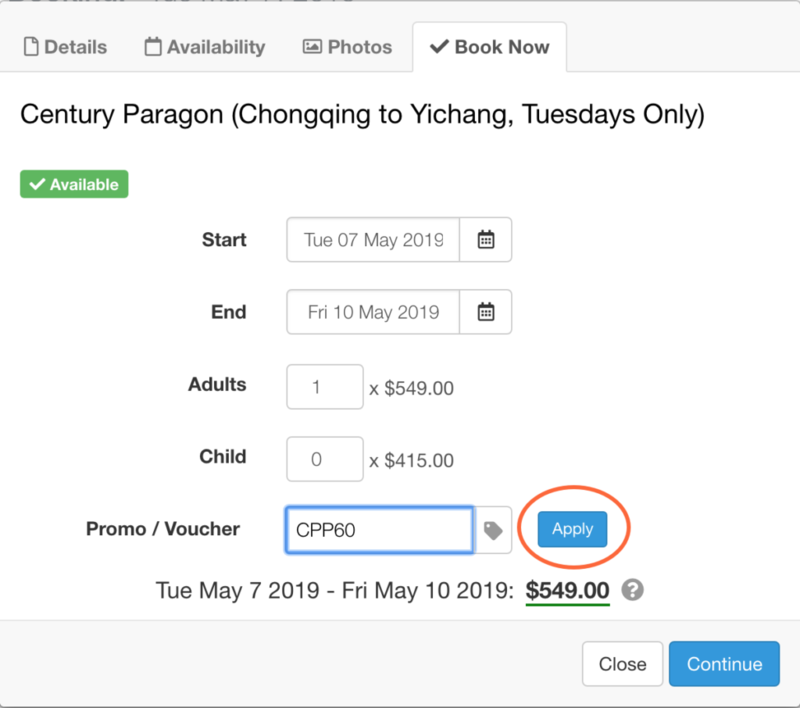 Copy a valid promo code on this page and paste in the blank, and click “Apply”, then you will find the cruise price discounted. 4. Click “Continue” and create your booking by filling out your details, and then submit your booking for online payment. 5. After our staff reviewing your booking within 48 hours, we will confirm your booking and send you the cruise voucher by email. Booking complete!